Let the games begin! 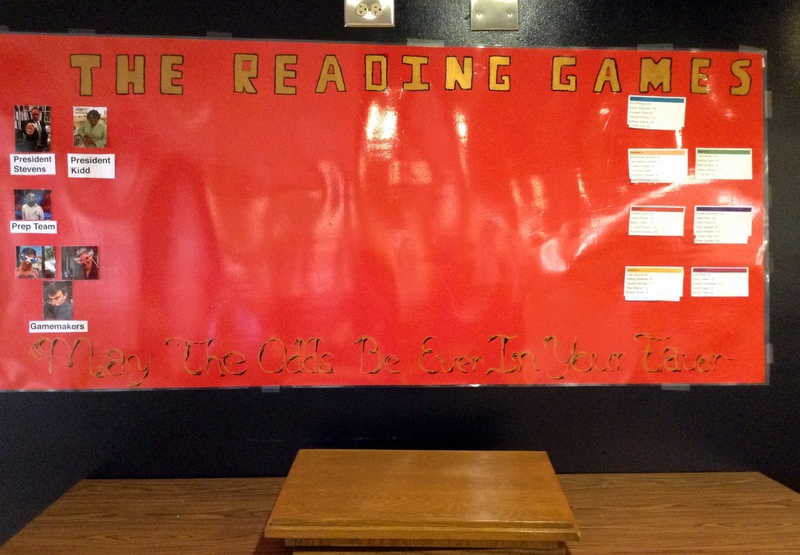 We just started our new reading program titled “The Reading Games”. Hosting from the Capitol are President Stevens, President Kidd, Prep Team member Mr. Means, and Gamemakers Mrs. Myers, Mrs. Layne, and Mr. Babcock. 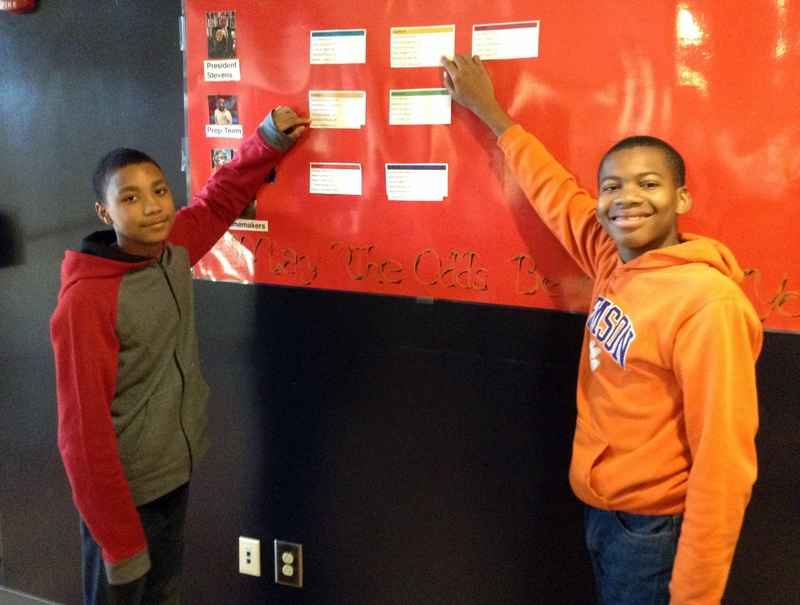 Students are organized randomly in districts (seven of them total) based on current reading level and grade level. Each district will compete with the other districts to not only see which group can read the most books but also to participate and win special challenges. Students interested in joining should contact Mrs. Myers by either stopping in the library or emailing her by SEPTEMBER 25th. 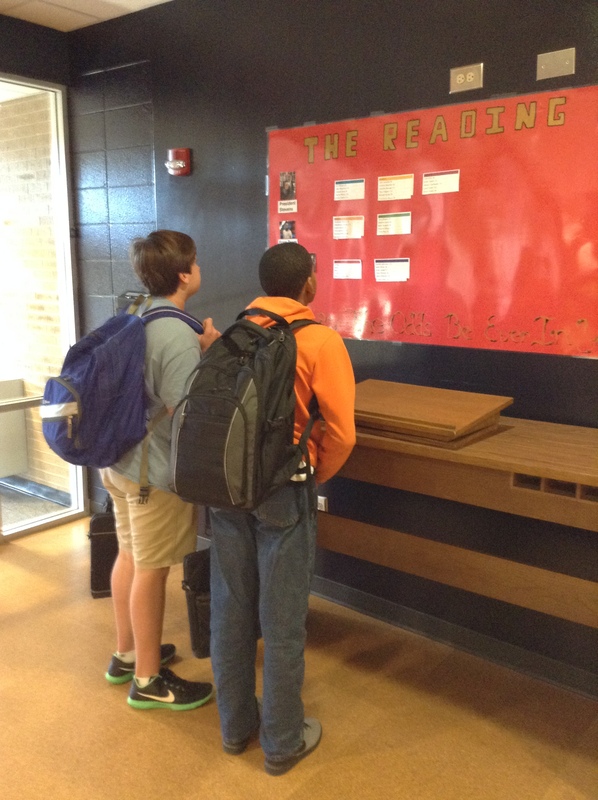 The Reading Games board is located at the front of the library. Students can check this for rankings and other important information. 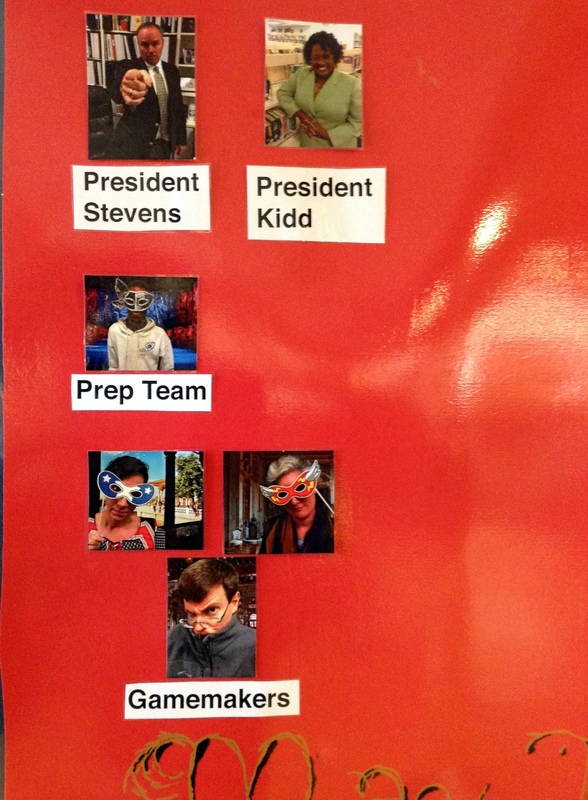 (By the way, the board now looks like this …. Thank you so much to the brilliant students who renamed our program, helped with ideas, and assisted in making the board – Victoriya, Caitlin, Cole, Mazzie, and Emily. ← When You Have Free Time …..